McAfee Stinger is a portable removal tool utility used to detect and remove specific viruses. It's not a substitute for full anti-virus protection, but a specialized tool to assist administrators and users when dealing with an infected system. McAfee Stinger includes a real-time behavior detection technology (called "Real Protect") that monitors suspicious activity on an endpoint. It leverages machine learning and automated behavioral based classification in the cloud to detect zero-day malware in real-time. McAfee Stinger utilizes next-generation scan engine technology, including process scanning, digitally signed .DAT files and scan performance optimizations. It detects and removes threats identified under the “List Viruses” icon in the application. 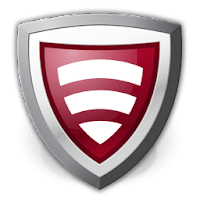 Disclaimer: Direct downloads for the lastest version of McAfee Stinger 12.1.0.2497 are provided by the official software's author, we can't guarantee safety, availability or download speed. Moreover, we don't and we won't provide any pirated/illegal versions or tools. We recommend you to avoid it as these methods can harm your device. If you like the software, buy it to support the developers. (We provide software discounts for many worldwide brands).